The transition from high school to college can be a daunting experience for any teenager, however, it can be even more challenging when that teenager is part of a military family. Part of the transition process is preparing for and taking the entrance exams to college. If the student is receiving accommodations in school, he/she may qualify to receive special accommodations when taking a college entrance exam. Being aware of the process and requirements to receive accommodations can help ease the anxiety and pressure of taking the test. 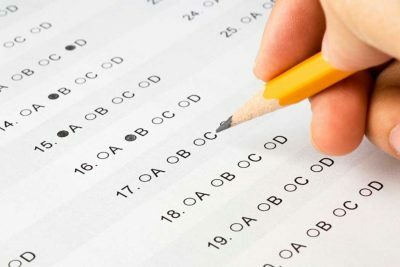 Beginning in January 2017 the College Board has streamlined the process for requesting testing accommodations, which means allowing automatic approval of more accommodations. However, it is important to plan ahead because it can take up to 7 weeks for accommodations to be approved by the College Board’s Services for Students with Disabilities. If they request additional documentation, or if a request is resubmitted, approval can take an additional seven weeks. Military families should check for the testing dates and deadlines in their area, or the area they will be living in when their child needs to take those exams. Planning ahead can ensure that requests to receive accommodations are processed in an appropriate and timely manner. The student should have a “documented” disability; this should be a current psychoeducational evaluation or a report from a doctor. The disability must impact the student’s ability to participate in the college entrance exams. If there is a specific accommodation requested, documentation should be provided showing the difficulty the student has performing that task. The easiest way to begin the process is to go through the student’s school. If families choose to apply for accommodations through the school, the school’s Special Education Coordinator can go online to submit the application. This will help streamline the process and is convenient for submitting requested documentation. Military families may find it helpful to contact the school that the student will be attending while taking the test to ask for assistance in requesting accommodations and registration. Note: Plan to contact this school well ahead of time (see above). Once the student is approved, they will receive a Service for Students with Disability (SSD) number that must be included when registering for the test. The schools Special Education Coordinator should make sure all the correct accommodations are in place when it is time to take the college exam. Approved accommodations will remain in effect one year after graduation from high school. At times the College Board will request specific documentation for review. Families should be sure to have records available to provide detailed documentation that supports the specific accommodation. The College Board provides a disability documentation guideline and accommodation documentation guideline. Doctors notes and Individualized Education Program (IEPs) or 504 plans may not be enough to validate a request for accommodations; students must provide supporting information, such as test scores.